In September 1939, four hundred thousand cats and dogs were massacred in Britain. The government, vets, and animal charities all advised against this killing. This is the story of why thousands of British citizens lined up to voluntarily euthanize household pets. Writing about the conflict from the perspective of animals means approaching the subject obliquely, searching for traces that have been obscured, ferreting out voices among the voiceless. As such, Kean’s book works around the margins of World War II’s documentation ... By unearthing this odd but significant moment of compassionate hysteria, Kean’s book undercuts this portrayal of the resolute Empire, suggesting the terror and irrationality beneath the stiff upper lip. Using source material that includes advertisements, diaries, interviews, letters and editorials, Kean argues the massacre was not the result of a uniform domestic panic. She does point to the 'black boredom' of the days after war was declared, and how mass euthanization was something citizens could do to prepare. But over all, Kean claims, perhaps too vaguely, that there was nothing 'mass' about the thinking that led to this slew of pet deaths. 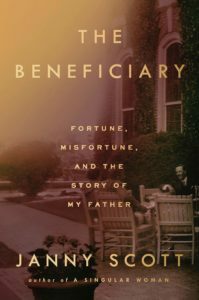 Every decision to euthanize emerged from the context of a 'particular prior existing relationship within a household' ... Kean makes these claims academically, arguing in the careful — even downright glacial — positing of a responsible historian. Still, her snapshots of life during wartime are engaging. Remarkably, Ms. Kean doesn’t discuss the August 28 notice [from the Home Office recommending pets be sent to the country or euthanized] or Ms. Campbell’s book, nor do they appear in her extensive bibliography or endnotes ... Such details matter in a book that judges the actions of a people facing Nazi invasion ... 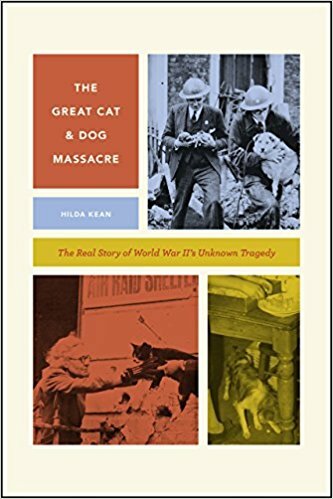 The most engaging parts of the book are when Ms. Kean tells the fascinating, moving tales of the role played by surviving dogs and cats during the Blitz ... Ms. Kean’s book brings to light an uncomfortable chapter in British history. But given the Nazi threat faced by the British and the hardships they endured, she doesn’t convince readers that the deaths of those unfortunate pets in this 'massacre' are enough to deprive the Brits of their rightful legacy in the Good War. What did you think of The Great Cat and Dog Massacre: The Real Story of World War Two's Unknown Tragedy?